A glorious cake perfect for a wedding of any kind! 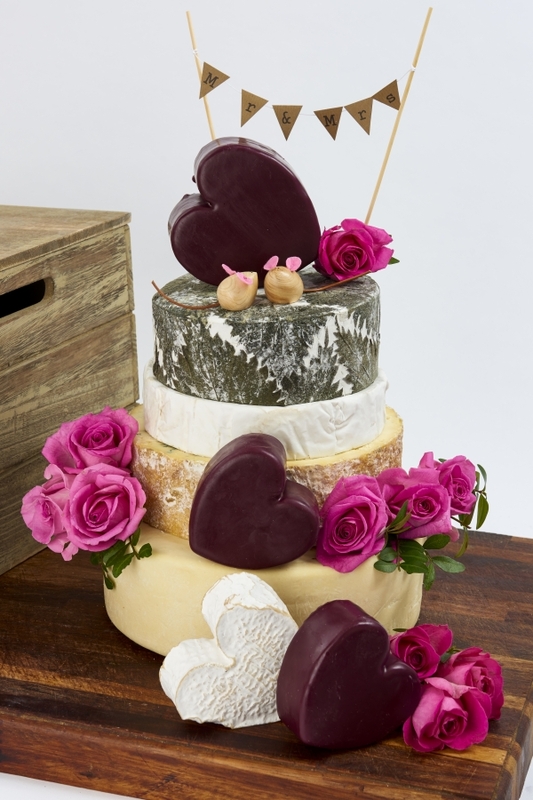 This smaller wedding cake has been designed with cheeses that are a little bit different and will serve up to 120 guests. The cheeses have all been carefully selected so that they compliment each other and traditional biscuits and chutneys. If you would prefer to taste before you buy you can purchase a sample box of all the cheeses that go to make up The Lyme Celebration Cheese Cake.